After an abundance of rumors, we finally have more concrete evidence of Microsoft's secretive Windows Blue operating system (OS): a legitimate leak of its early build. 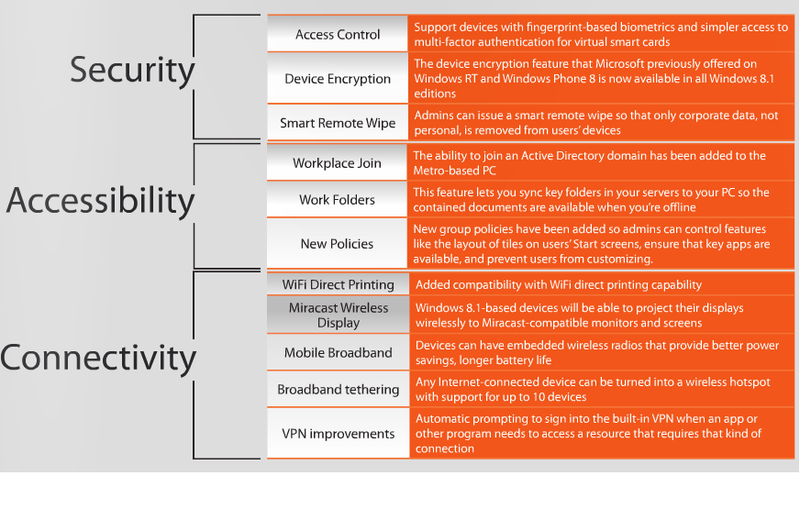 Without further adieu, here are the 10 top features buried within the forthcoming OS (presumably Windows 8.1). Windows 8's ability to"snap" an app to the side of the screen while another runs beside it gives the OS multitasking chops that Android and iOS just can't match—but the only snapping option available in Windows 8 spreads one app across 75 percent of the screen, while the second is relegated to a miserly quarter of the display. Fortunately, the Windows Blue leak includes a 50/50 snapping option that should have been available from the start. Being able to dedicate half your screen equally to two separate apps makes the Snap feature much more useful for day-to-day app-based activities. One of the worst flaws of Windows 8 is how it splits essential settings options between the traditional desktop Control Panel and the more modern PC Settings found in the Settings charm. The design is most painful on Windows AT devices, where the need to navigate to the otherwise useless desktop and fiddle with non-finger-friendly options is nothing short of a headache. Windows Blue fixes this with its vastly expanded PC Settings, which now contains many of the options previously hidden within the Control Panel. Your fingers will love the difference if you're a Windows tablet user, but even better, the rise of Windows Blue's PC Settings foretells a future in which the Control Panel could be excised completely. The modern-style Sky-Drive app does not mimic the desktop Sky-Drive app as one might expect. The distinction is glaring in Windows 8, where the modern-style app can only access files previously stored in your Sky-Drive—it has no ability to sync new files to the Cloud. That may change with Windows Blue. Also found in Windows Blue: Internet Explorer 11. It's a very early version of Microsoft's next-gen web browser—so much so that, functionally speaking, it's the exact same as Windows 8's Internet Explorer 10. Under the surface, however, lies an intriguing peek at a new feature for the browser. Alongside the usual Mail, Maps, and Music tiles we're all familiar with, a quadruplet of new apps appears on the Windows Blue Start screen: Alarms, Calculate, Sound Recorder, and Movie Moments. Everything about Movie Moments oozes genuine Microsoft, from its "Microsoft confidential" warning screen at launch, to its Live Tile design, to its overall interface, which mirrors the look of the SkyDrive app. Alarms, Calculate, and Sound Recorder, on the other hand, seem handy but a bit too simplistic to be first-party Microsoft products. In Windows 8, you have a couple of basic Live Tile sizing options: a medium-sized square, or a larger rectangle the size of those two squares combined. Windows Blue ups the customization ante with the introduction of two new tile sizes. One's an itty-bitty square a quarter of the size of Windows medium tiles, while the other is a massive tile as big as a pair of Windows 8's larger rectangular tiles. 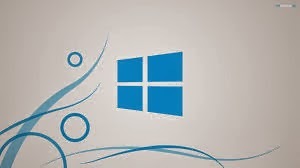 The additional sizing options afford the user much more customizability, giving you the ability to craft a Start screen that isn't quite as grid-like as what you're limited to in Windows 8. In that, Windows Blue's tile sizing options echo the flexibility of Windows Phone 8's Live Tiles. One of the biggest frustrations of the current Windows 8 Start screen is how easy it is to accidentally move a Live Tile to a new location. If you move the mouse even a little bit while clicking on a Tile, the screen shifts to Semantic Zoom to allow you to move the Tile to another location rather than simply opening it. Windows Blue eliminates that frustration with a new Customize button. You can't rearrange Live Tiles in Windows Blue unless you right-click on an empty portion of the desktop, then click a brand-new Customize button. You'll need to unselect the customization option to continue using Live Tiles normally. It's a simple alteration, but a welcome one. Interestingly, the All Apps button—the only one available in the Start screen options bar in Windows 8—has been scrubbed from Windows Blue. That doesn't mean the All Apps screen is eliminated from Windows Blue entirely, however. The Verge reports that Windows Blue includes new gesture controls, such as the ability to swipe up from the bottom of the Start screen to reveal all your installed apps. Swiping up from the bottom of the desktop reveals a hidden app bar that includes snapping and projector options, amongst other things.